Experts often point to poor quality homeless shelters and lack of affordable housing as factors contributing to the rising homelessness rate in the city. First, those who cannot afford housing are forced to live in shelters and other accommodations geared to the homeless. However, if these shelters do not provide these individuals with resources and services to help them find a job and build their wealth, then they will not be able to break the cycle of homelessness. New York is addressing the problem of quality shelters to counter the cycle by developing new ones in the communities where individuals first became homeless, thereby giving them an option to remain close to their roots, as they rebuild their lives. A part of this plan, which has generated much discussion, includes building a homeless shelter housing 140 men at the previous Park Savoy Hotel on 158 W. 58th Street, commonly referred to as “Billionaires’ Row,” right in the center of New York City’s tourism and back-to-back to One57—the city’s most expensive apartment building. While some believe this is a great opportunity to allow homeless individuals a foundation near a hub for well-paying jobs, others voice concern over building safety and whether the plan will be efficient and economical. The homeless shelter is one of 90 that will be scattered across the five boroughs of New York under Mayor Bill de Blasio’s “Turning the Tide” initiative. This shelter network will provide accommodations for the homeless population in lieu of cluster apartments and hotel rooms, which will be eliminated by 2021 and 2023, respectively. It is projected that this change will save the city $100 million and decrease the number of homeless facilities by half. Some notable features of the program include funding for building maintenance, security provided by the New York Police Department (NYPD), and “in-house” social workers who will refer tenants to social services, including employment training and mental health care. It is also required that nearby communities will be notified at least 30 days in advance before the advent of a new shelter, and will take responses into consideration for planning. The shelter at Park Savoy will be administered by Westhab, a company which currently manages affordable housing and shelters in Westchester and the Bronx. Security at the location will include at least two entrance guards and 56 surveillance cameras in and around the building, according to an article in New York Post. Nearby communities have voiced various concerns over the potential safety hazards and inefficacy of the proposed shelter at Park Savoy. The W. 58th Coalition, for instance, is campaigning against the “Turning the Tide” plan because of underlying flaws they believe are detrimental to the achievement of its ultimate aim of helping the homeless community. One criticism is that the plan is not cost efficient. The city intends to spend around $50,000 per person annually for every resident of the shelter, with an estimated cost of $63 million over nine years. For comparison, the overall estimated cost of the mayor’s “Turning the Tide” program is projected to cost an estimated $11 billion over the next three years. They also note the risk of increased loitering, drug use and criminal activity near homeless shelters. These are legitimate concerns that should be taken seriously, but there are preventive measures that the shelter and the local NYPD can take to help ensure that the community remains safe. It is important to remember that the point of the shelter is to provide these men with a base so that they can attain a high-paying jobs, increase their personal wealth, stay nearby their local communities and extricate themselves from the cycle of homelessness. And these aforementioned fears may mask biases that incite negative feelings and provide a formidable obstacle citizens who want to achieve financial independence, and to not have their past determine their future. Possibly the most salient argument against the shelter regards the significant risk of a fire hazard and overall building safety. The Park Savoy Hotel was built in 1942 and does not have some of the safety requirements that are necessary for modern buildings. For instance, the building has narrow hallways with floors joined by a single elevator and one indoor serpentine stairway that exits to the lobby. Notably, there are no exterior fire escapes. Today, such a building project would require an additional exit towards the street, at the very least. If a fire were to erupt in the building, 140 men, housed two to three per room, would be clambering over each other to egress the building through the indoor stairwell as a means of escape. Trying to leave through the rear exit would present another challenge as the building opens to a 50-square foot courtyard walled by surrounding buildings on all sides. This is a serious safety hazard, and some argue this makes the previous Park Savoy an unsuitable home for any citizen. Before the shelter comes into effect, detractors are demanding project planners address this fire hazard by building a second exterior exit. Cost, public and building safety are the pillars of concern among critics of the planned Park Savoy homeless shelter. Public and building safety can be addressed if local and state resources are utilized to make sure that the community, including the residents of the homeless shelter are kept safe from all harms. Cost should also be addressed if there is a more affordable way for the city to address the homeless crisis, which is being dismissed or simply unknown. Those for and against the planned shelter may have different takes on the issue, but they all share common interests in the safety of the community and helping the homeless. Through communication and collaboration, both sides can produce inventive solutions to these obstacles, and work together to provide a better opportunity for the homeless as they integrate themselves back into society and create better lives for themselves. 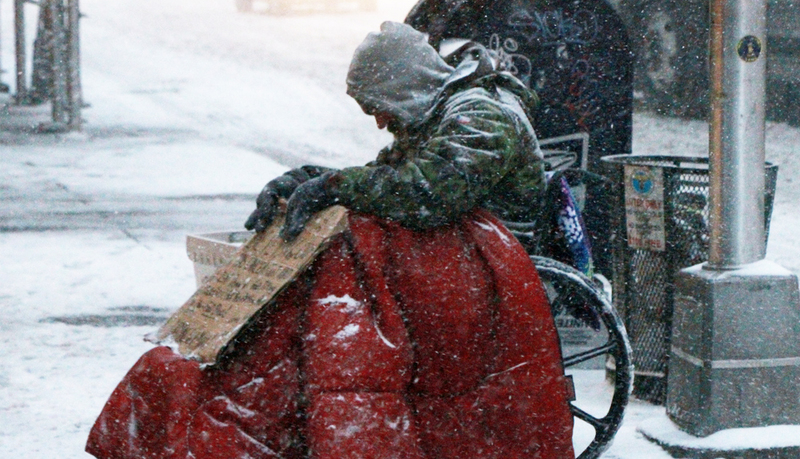 This entry was posted in Great Articles, News and tagged BillionairesRow, homelessness, NewYorkCity, W58thCoalition.